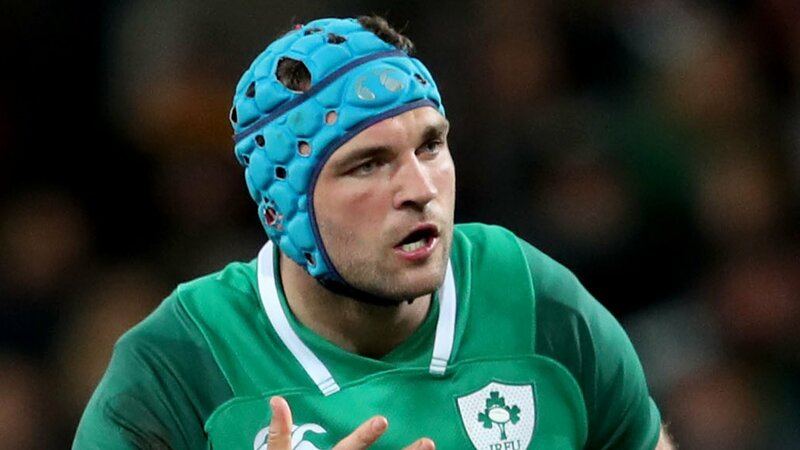 Ireland’s Tadhg Beirne will make his Six Nations debut against Wales in Saturday’s potential title decider. With Iain Henderson ruled out of the trip to Cardiff through injury, Beirne partners James Ryan in Ireland’s fifth different starting second row combination of the tournament. Sean O’Brien is recalled while Rob Kearney returns at full-back. To retain their title, Ireland must stop Wales’ Grand Slam bid and also hope that Scotland upset England. Wales lead the championship by a point from England going into the final weekend of the 2019 Six Nations with Ireland another point adrift in third but all three sides have a chance to be crowned champions on Saturday. Ireland side can overtake Wales if they can win in Cardiff for the first time under head coach Joe Schmidt but would also need Scotland to prevent England from winning at Twickenham. Wales will clinch the if they win on Saturday but England must rely on Ireland stopping the leaders in the penultimate match and would then be able to claim their third title in four seasons with a victory against Scotland. Munster’s Beirne enjoyed two successful seasons with Scarlets before returning to Ireland for the beginning of the current campaign in order to pursue an international career. The lock was voted Pro14 players’ player of the 2017/18 season as he helped the Welsh side to the Pro14 final and the last four of the European Champions Cup. Like Beirne, Henderson missed the opening rounds of the championship through injury but impressed on his return to action against France last week. The Ulsterman now faces a race to be fit in time for his province’s European quarter-final against Leinster later this month. Flanker O’Brien was dropped for last week’s win over Wales while Kearney was a late withdrawal with a calf strain but the pair have been restored to the team. O’Brien replaces the injured Josh van der Flier and Kearney’s return at full-back comes at Jordan Larmour’s expense. The in-form Jack Conan retains his place among the replacements while there is no place in the 23 for Dan Leavy despite his return to fitness. Kieran Marmion could also make his first appearance of the tournament from the bench with John Cooney dropping out of the squad. Saturday’s match will be the final Six Nations encounter between Schmidt and his Welsh counterpart Warren Gatland as both men plan to step down at the end of the Rugby World Cup in Japan later this year. The two sides will meet in a warm-up match before the tournament in August but this week’s game represents a final opportunity for Schmidt to claim a Six Nations victory at the Principality Stadium. The New Zealander famously won the European Cup at the home of Welsh rugby in 2011 when Leinster beat Northampton Saints in the final but Ireland have lost their two previous Six Nations visits to Cardiff in the Schmidt era – a 23-16 loss in 2015 and a heavy 22-9 defeat in 2017 when Rob Howley was the interim Wales head coach. Gatland, who could become the first head coach to win three Grand Slam titles, would dearly love to sign off on his Six Nations career by winning against the team he coached between 1998 and 2001. Replacements: Scannell, Kilcoyne, Porter, Roux, Conan, Marmion, Carty, Larmour.